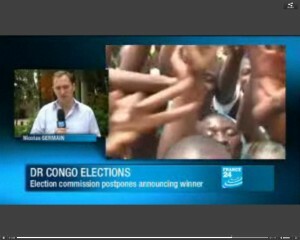 KINSHASA – Announcements of the official election results have been delayed another time. Several independent observers as well as international press agencies and reporters recently reported about the high tensions throughout the country. 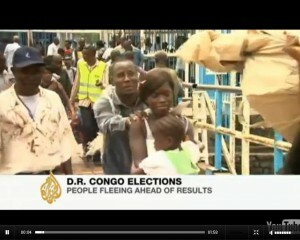 Last week Congolese voters could make use of their right to vote in the Democratic Republic of Congo. Currently several regions, particularly the country’s capital city Kinshasa faces a strained situation. Especially supporters of the main opposition candidate Tshisekedi went to the streets to express their dissatisfaction with the delayed announcements of the final election result. The National Electoral Commission for its part had already announced a delay of the announcement several times. Congolese all over the world protested against the heavy delays which occurred throughout the whole election process since polling stations opened on last week’s Monday. It has been reported that many Congolese citizens from Kinshasa fled to the neighboring country. Tensions for violent riots arise throughout the country and international observers fear that supporters of Tshisekedi could heavily clash with police and military forces as soon as the result will be announced wherewith the current president Kabila would be probably reelected.